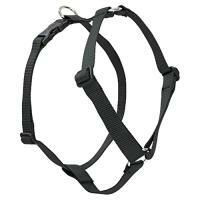 This traditional large dog harness is designed to eliminate pressure on the delicate throat area. Adjustable shoulder straps help to reduce strain on the neck and back. All dog walking harnesses come with the unique Lupine 'Even-If-Chewed’ Guarantee® and are machine washable. 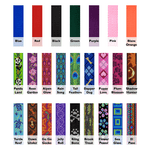 Available in 1" width and girth sizes: 20″-32″, 24″-38″ or 26"-44"
Solid colored harnesses begin at $21.99. 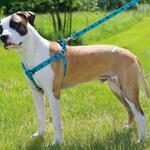 Patterned harnesses start at $26.99. Price varies by size.